How do I take my form offline. But i still want to keep it to use next time, but just want it offline for now. 4. Close the Preferences and save the form. 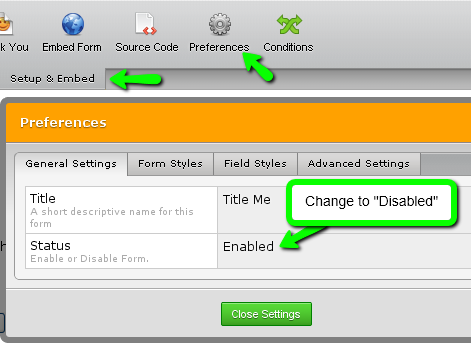 You can re-enable the form at anytime by changing the status back to Enabled. Please let us know if we may be of additional assistance regarding usage of your form builder.